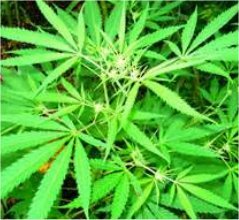 Scientists have discovered astounding new evidence that suggests hemp proteins have the capacity to repair damaged DNA — a phenomenon that occurs in all humans as the result of aging. While the majority of people are aware that DNA, or deoxyribonucleic acid, is present within most living organisms, there is perhaps a larger percentage who are completely oblivious to the fact that this hereditary material accumulates damage in a manner similar to wear and tear on an automobile. Fortunately, human cells are resilient and are able to fix most of the blemishes that occur each day within our genetic code. Yet, not all of this damage is repairable, which is what scientists believe leads to the body’s inability to heal itself. Although most of the injuries to DNA are not serious, some damages, like strand breaks, can cause the body to make mistakes during the repair process that can shorten a person’s lifespan. The good news is that the two primary proteins found in hemp seeds — Edestin and Albumin — can assist the body in repairing damaged DNA that it is otherwise incapable of fixing on its own. Edestin protein, which is only found in hemp seeds, has a makeup similar to blood plasma and has been shown to promote a healthy immune system as well as eliminate stress. Its counterpart, Albumin protein, assists in maintaining the strength of tissues that hold the body together. “Hemp protein contains all of the 20 known amino acids — including 9 essential amino acids (EAAs). These amino acids are labeled “essential” because the human body can’t produce them on its own. A diet that is deficient of EAAs may lead to degenerative conditions,” according to Global Hemp. Research shows that consuming hemp seed and hemp seed oil is an ideal method for fixing DNA. This is because hemp contains “the perfect 3:1 ratio” of Omega fatty acids, which are instrumental in the damage done to DNA.